WhatToNameIt: Next up - Coimbatore and Bangalore. The show in Hyderabad was amazing to say the least. I was performing there for the first time and also perhaps the first time with Shwetha Mohan. Only thing, this was a concert for which I had absolutely no rehearsal. My travel plans upset a lot of things. And on the day of the show, the flight had to be diverted to Bangalore instead of Hyderabad and I landed late. And hence missed the rehearsal that was happening that morning. Just got to check a couple of songs, during the sound check. But that was about it. Over and above that, battling an oncoming cold and a throat infection and making sure that it does not get worse.... But then that's the story of our lives. Post the show, when I got tweets from some people saying that it was the best concert that they had attended in their 23 years in Hyderabad, I felt completely gratified. We had the audience dancing with us for the final couple of numbers. I happened to spot Anuj Gurwara in the audience and asked him to join us on stage. Strangely he had just messaged another friend of mine a couple of minutes before I called him up, that he wished that he could be on stage with us. Talk of immediate wish fulfillment :) He rocked it too. I had amazing stage monitors, again a rarity these days, though I wonder why. Once we know how we sound everything is a breeze. Otherwise its a total disaster. Performing at the Corporation Kalaiarangam on the 26th and the next day, the 27th at Bangalore Jnana Jyoti Convention Center. This will also be my first concert in Bangalore and am completely looking forward to the experience. Hi chinmayee.. will u perform classical or film music in bangalore? hope to see u perform in B'lore.. Your going to Rock undoubtedly. Hi Chinmayi... it was an amazing show, myself and MIL(mother in law) thoroughly enjoyed the show.. u guys were absoultely brilliant, the choice of songs , all ur voices and the instruments gelled so well.. wish we could hear more such in the future, was dancing right behind u in jai jai siva sankar , it was feat of our ears.. thank u so much!!! 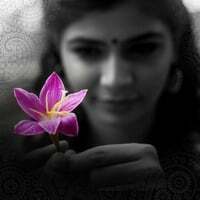 Chinmayi . . See you in Bangalore. .
Good luck ! ur blog is very inspiring . I hope you sing Kannada songs in Bangalore and not Tamil ones. Time alone has the Answers for all those Q's?...So Peace.